TOP-FLO® TL60ARV Air Relief Valves – Top Line Process Equipment Co. 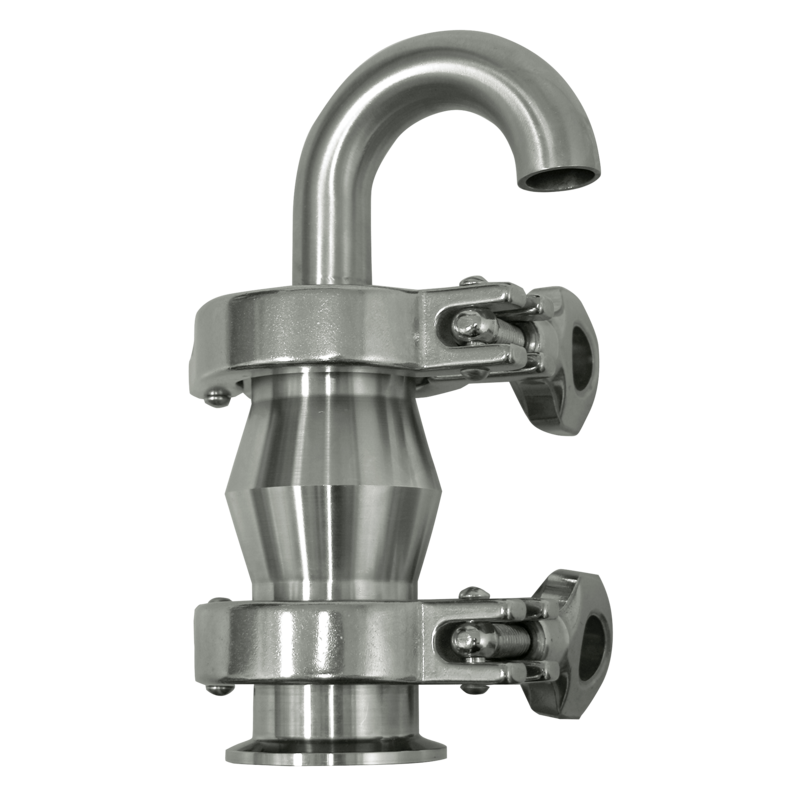 The TL60ARV Air Relief Valves are used primarily when removal of air from a line without loss of product is a concern. The design of the TL60ARV is simple: a ferrule, a housing with a plastic ball, and a vent pipe all connected using 2 standard heavy duty clamps. This design will not let air enter the line or container under negative pressure. The TL60ARV is double seated. The lightweight ball is freely moving and depending on pressure conditions will close against the upper or lower seat. This valve is not designed for use in operation with liquids having less than 1.0 specific gravity.